It’s been awhile since Mary Jo and I have had salmon. 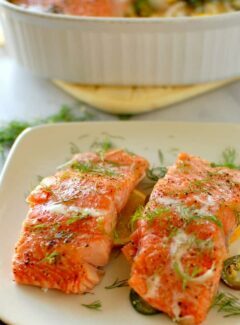 It is delicious any way it is prepared, but this slow baked dill and citrus salmon is really good. Slow baked on low heat, we were surprised at how much the salmon really picks up the flavors of the dill and oranges and lemon from below. This recipe is incredibly easy to put together too. 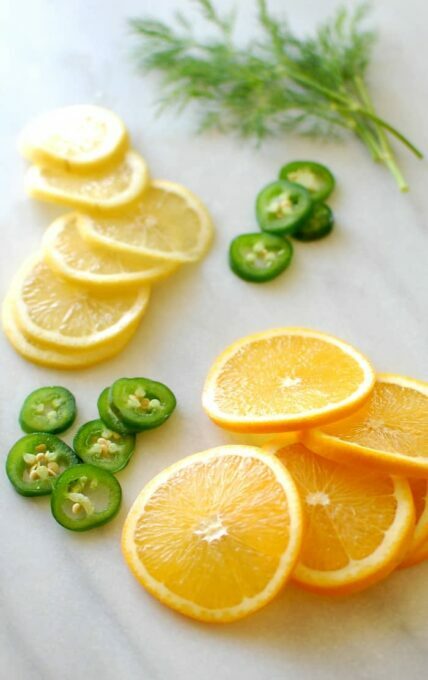 Just slice up the fruit, jalapeno pepper, and shallots. Minimal seasoning is needed, just a little salt and pepper. You can put this together early and store it in the refrigerator until you bake it. That’s what I did. It was about 11:30 am when I assembled it. I just covered the casserole with plastic wrap and refrigerated it until it was baked. We did eat it early. I started the oven at about 2:30 pm and put the dish into the oven at about 3 pm. Eating just after 4 o’clock. Or after I took some photos. It’s winter and the natural light disappears quickly. 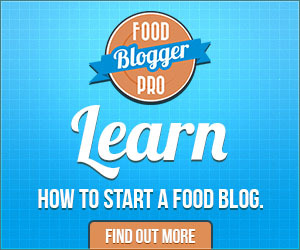 So, we eat early on days that I do a blog post, or I have to resort to my fluorescent lights. Fluorescents are ok, but it means I have to set up a stage on our dining room table. Then I have to tear it down, then we eat. Mary Jo is getting used to eating after the photos are taken. She just hopes that all goes well and the food doesn’t get too cold! (That is what microwaves are for). As you can see, this is a really easy dish to prepare. 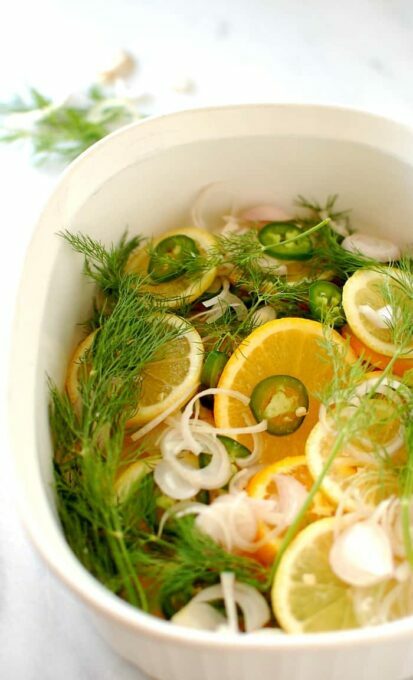 Just mix up the chopped ingredients and add a few sprigs of fresh dill. Salt the base ingredients, (you could also drizzle some olive oil on these too if you desire). Place the salmon fillets on top, drizzle with olive oil, then lightly salt and pepper. That’s it! Put it in the oven and set your timer for 45 minutes. Pour yourself a glass of wine and relax. We ate the salmon with wild rice and the two paired wonderfully. 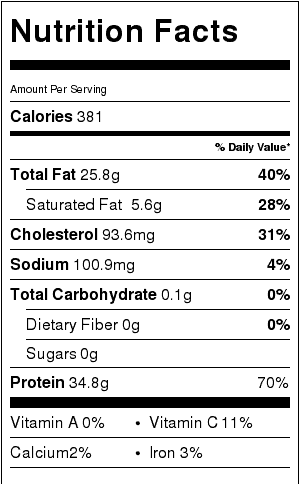 The salmon is super moist and full of flavor. Best of all, Mary Jo was impressed. 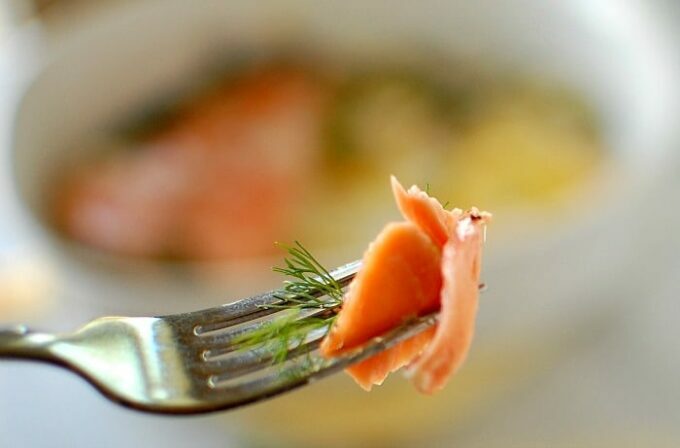 You have got to try this baking method the next time you have salmon. I guarantee that you will love it! 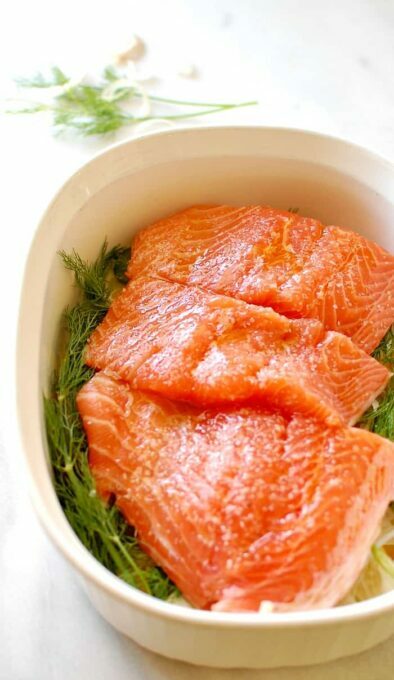 Place in oven for 45 to 50 minutes, then check doneness with a knife or fork to insure that the salmon flakes easily. (depends on the thickness of the fillet). Serve warm with additional chopped dill. 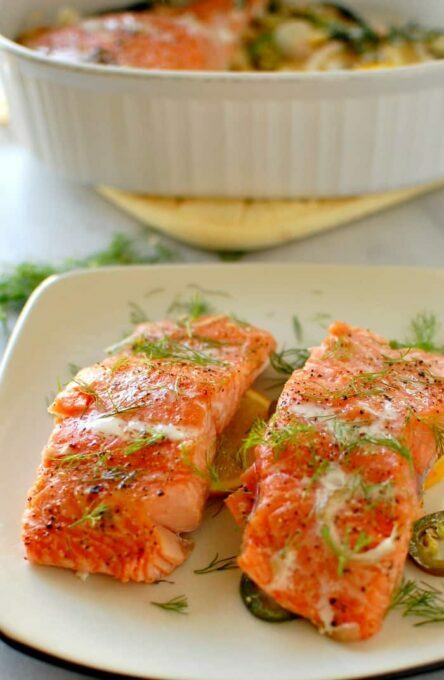 This is by far the easiest salmon recipe and one of the tastiest! The slow cooked salmon is quite moist and the added ingredients and subtle interest to the overall flavor. I cooked with a rather expensive cut of fresh sockeye and it was divine! I also left the skin on and removed just before serving. Leftovers (if any!) make delicious salmon patties. 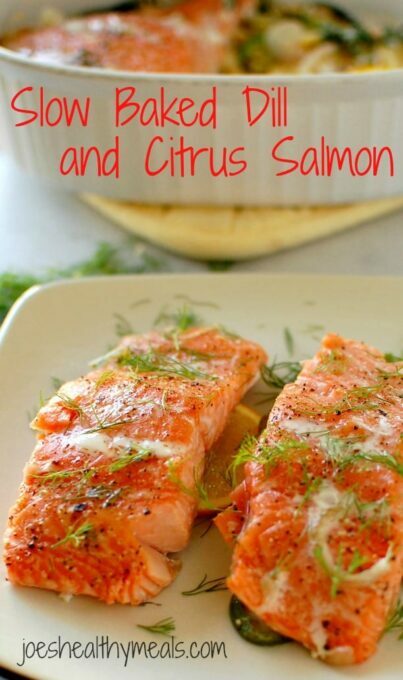 Thanks Deb….this is my favorite salmon recipe too, especially when you buy the best piece of fish. it was easy and tasted better than the way I had cooked it before. Thanks John. Glad you liked it!